Beatlemania has hit the headlines once again this week, with the release of the Fab Four’s remastered CD collection, their Rock Band video game, and a popular British presenter’s efforts to re-record their hits for charity. A whole new generation of fans are currently being exposed to the music of John, Paul, George and Ringo through the release of Rock Star, and a number of limited edition Xbox 360 consoles are available to benefit Doctors Without Borders. The consoles are available at eBay. Doctors Without Borders is an international medical humanitarian organization created by doctors and journalists in France in 1971 working in more than 60 countries to assist people whose survival is threatened by violence, neglect, or catastrophe. 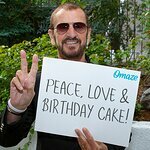 Sir Paul McCartney and Ringo Starr, along with Yoko Ono Lennon and Olivia Harrison, personally selected the charity as the beneficiary of these proceeds. 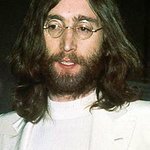 According to eBay: "Starting Sept. 9, Xbox 360 will also give its more than 20 million Xbox LIVE members the opportunity to give to charity and support the Beatles’ eternal message of peace and love. “All You Need Is Love,” the Beatle’s iconic anthem of peace, will be released exclusively on Xbox 360 as a downloadable song for the game through Xbox LIVE with Apple Corps Ltd, MTV Games, Harmonix and Microsoft, with proceeds benefiting Doctors Without Borders. Good deeds never go unnoticed: purchasing and downloading the “All You Need Is Love” track for 160 Microsoft Points for charity will also register you for the “The Beatles: Rock Band” Download & Win* for a chance to win one of the limited edition “The Beatles: Rock Band” Xbox 360 consoles and a Rickenbacker 325 replica guitar controller." In other Beatles news this week, British TV and radio presenter Sir Terry Wogan has been busy in a recording studio with Pink Floyd drummer Nick Mason and the Rolling Stones' Bill Wyman laying down tracks of classic Fab Four songs for the upcoming Bandaged Together album to benefit Children in Need. The project has been organised by a group of Terry Wogan fans known as The TOGs (Terry’s Old Geezers and Gals). The album – which will feature Sir Terry’s take on All You Need Is Love – will be released next month.